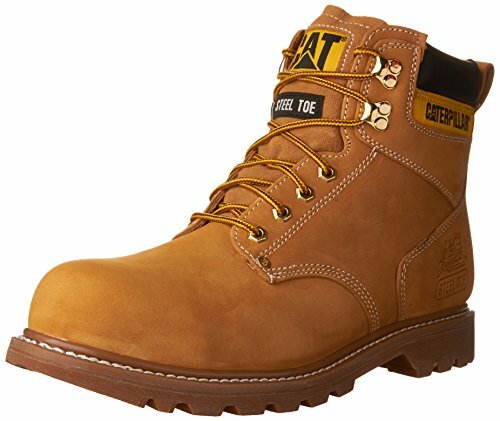 Caterpillar Men's Second Shift Steel Toe Work Boot,Honey,11.5 M US | What Should I Say? Boot Height: Approx. 6" Tall. A full grain genuine leather upper with a nylon mesh lining inside. The sock lining is covered Poliyou. A PVC midsole leads to a T3 rubber outsole. The construction is Goodyear Welt, contains a ANSI class 75 steel toe special feature; electrical hazard rated.